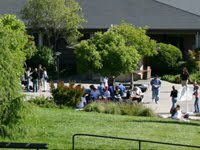 Cabrillo College has activated new virus and junk mail protection services. Postini, Cabrillo’s current Email SPAM/Security Filtering service, is being retired by Google. Therefore, we are transitioning to an alternate system. Cabrillo’s new Email Security Filtering service is Proofpoint Essentials.